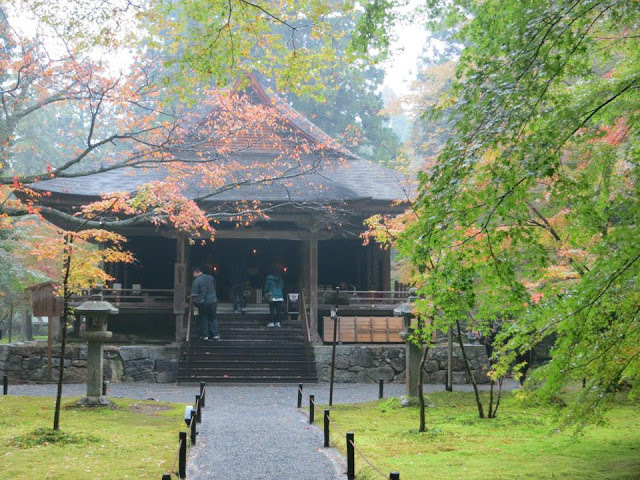 Perhaps to some people, Kyoto is just full of temples and shrines. I wouldn't deny that. 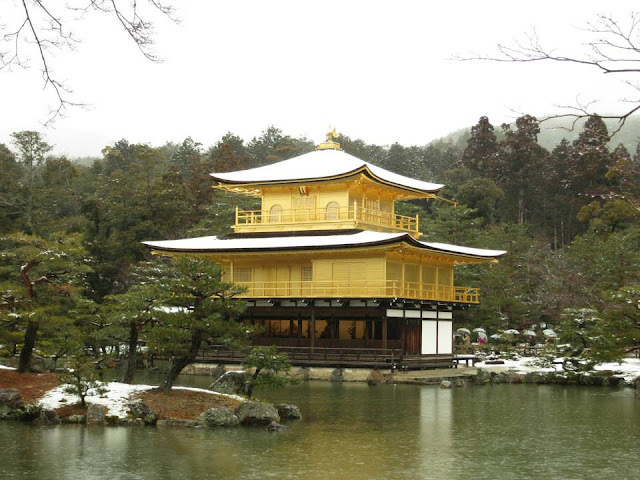 But there are many outstanding ones, and different temples look best in different seasons. 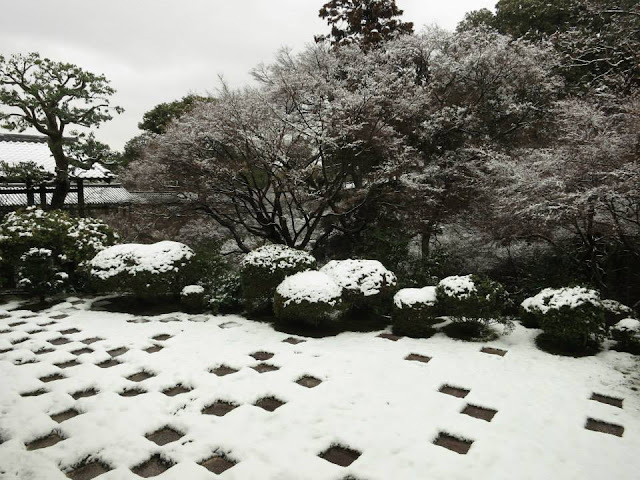 For example, Kinkakuji（金閣寺）is the place to go when it snows, Nijo Castle（二条城）is the place to go for sakura viewing at night, Heian Shrine（平安神宮）is best seen in Spring, Summer is the time for Mimurotoji（三室戸寺）, and Autumn is the time for Sanzenin（三千院）, Arashiyama（嵐山）and Kitano Tenmangu（北野天満宮）! Though overall, it is best to visit Kyoto in spring and autumn for the awesome sakura views and autumn foliage. Places I have visited in Central Kyoto include Kiyomizudera（清水寺）, Ginkakuji（銀閣寺）, Gion（祇園）, Yasaka Shrine（八坂神社）, Maruyama Park（円山公園）, Philosopher's Path（哲学の道）, Nishiki Market（錦市場）, Pontocho（先斗町）, Kawaramachi（河原町）, Okazaki Incline, Heian Shrine, Sanjusangendo（三十三間堂）, Fushimi Inari Shrine（伏見稲荷神社）, Fushimi Sake Breweries, Daigoji（醍醐寺）, Tofukuji（東福寺）, Kinkakuji, Kurama（鞍馬）, Kibune（貴船）, Ohara（大原）, Sanzenin, Hieizan（比叡山）, Kitano Tenmangu, Nishijin Textile Center, Arashiyama, Tenryuji（天竜寺）, Nisonin（二尊院）, Horinji（法輪寺）, Suzumushi-dera（鈴虫寺）, Toei Eigamura（都営映画村）, Nijo Castle, Kyoto Imperial Palace, Kyoto Botanical Gardens, Omuroninnaji（大室仁和寺）, Haradanien（原谷苑）, Iwashimizu Hachimangu（岩清水八幡宮）, Honenin（法然院）and Reikanji（霊鑑寺）. Yet, there remain several places I have not been to. 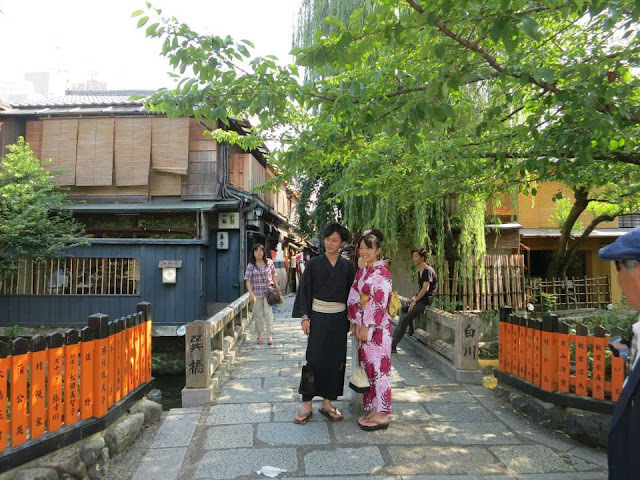 There is really no end to sightseeing in Kyoto. 1. Kiyomizudera（清水寺）is arguably the most famous temple in Kyoto. 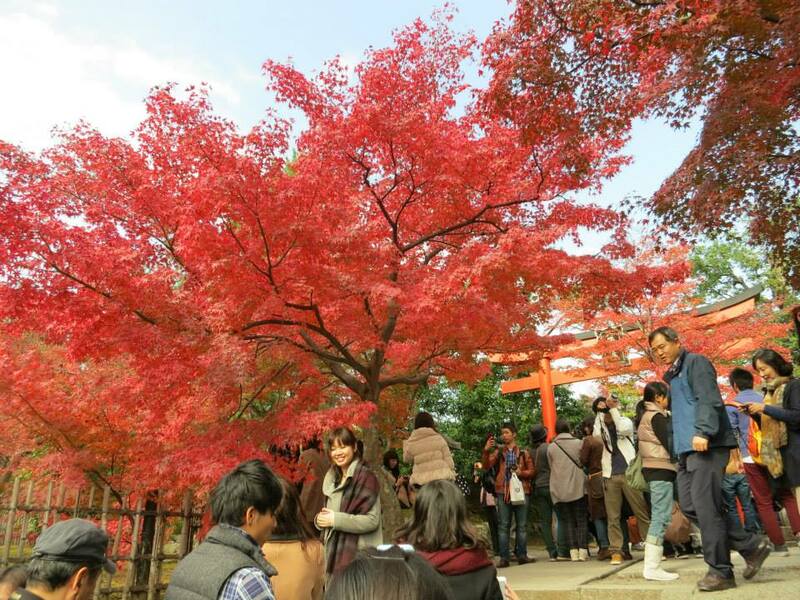 This UNESCO world heritage site is crowded with tourists all the time, though the best time to go is during spring and autumn for the sakura/maple trees view, or during Hanatoro event in March and autumn leaf season for night illuminations. 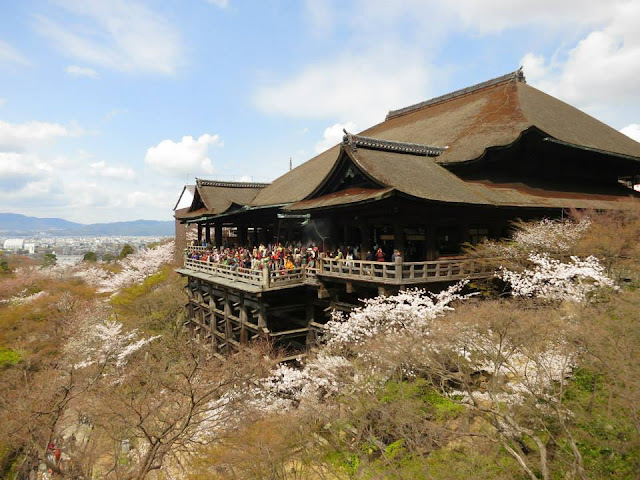 The special thing about Kiyomizudera is that its main hall was built without using nails. 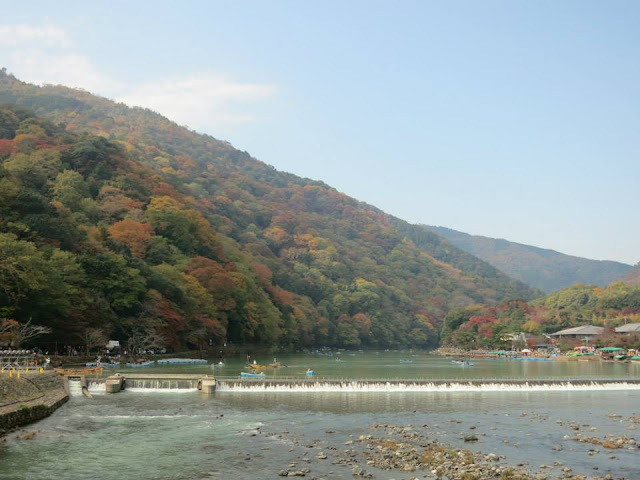 Otowa Waterfall below is said to bring different good benefits to people who drink the water, so there is a perpetual queue in front of it. 2. 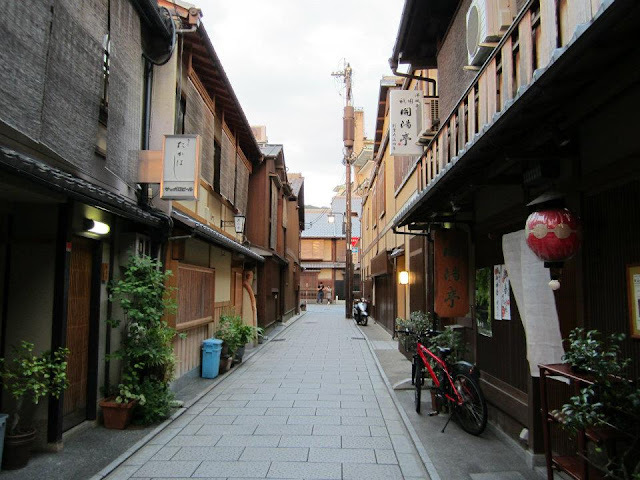 The Kawaramachi（河原町）and Gion（祇園）area is a district not to be missed. 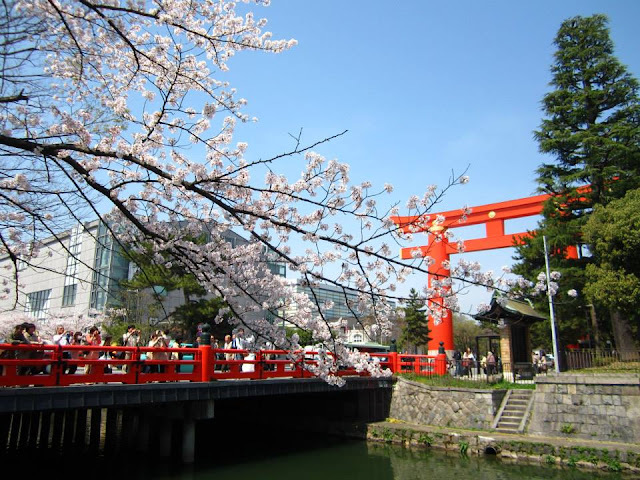 Kawaramachi on one side of the Kamo River（加茂川）is the modern downtown with shopping malls and arcades, while Gion on the other side is rich in heritage, boasting numerous temples and shrines. Gion district lined with wooden houses is filled with restaurants and teahouses where Geisha and Maiko entertain. 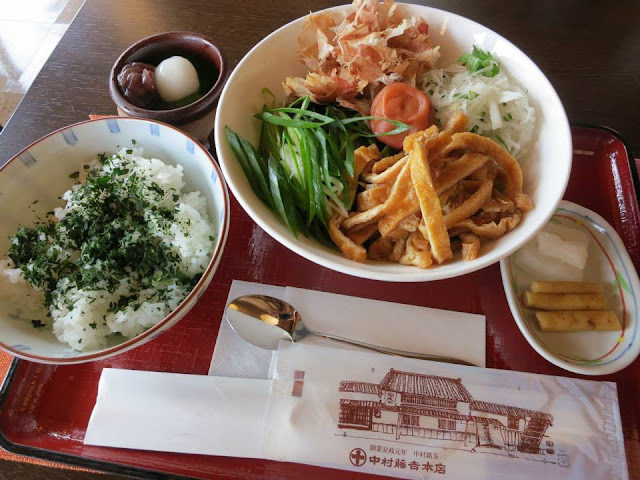 The Hanami-koji street has restaurants serving Kaiseki Ryori（懐石料理）, while the scenic Shirakawa（白川）area has teahouses serving light desserts. 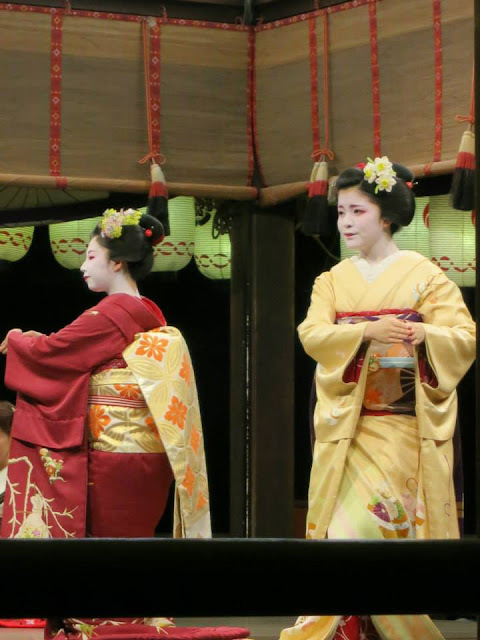 It is possible to see Geisha/Maiko around the area or watch their performances, more commonly via the daily Gion Corner, Hanatoro in March or Miyako Odori in April. Gion is also the location for Gion Matsuri, one of the famous festivals in Kyoto. 3. 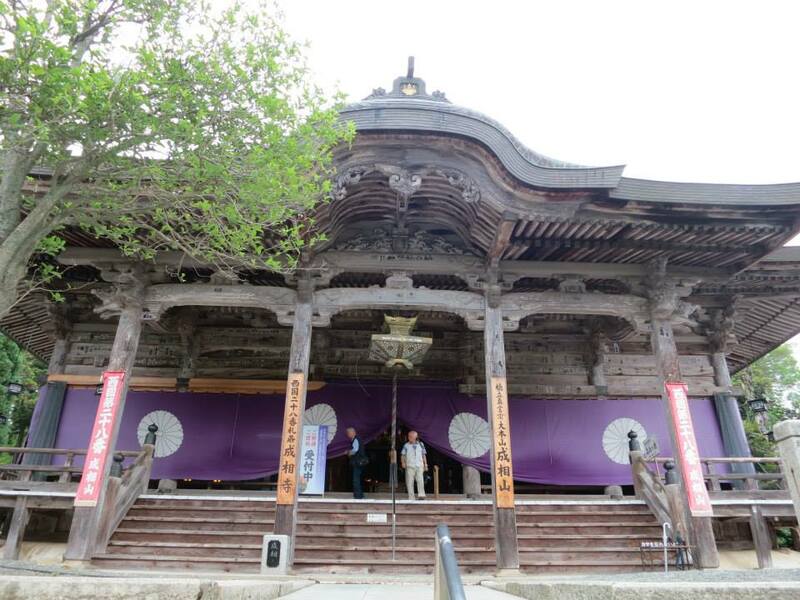 Sanjusangendo（三十三間堂）is a famous temple known for its 1001 statues of 1000-armed Kannon（千手観音）. Found it grand and impressive. 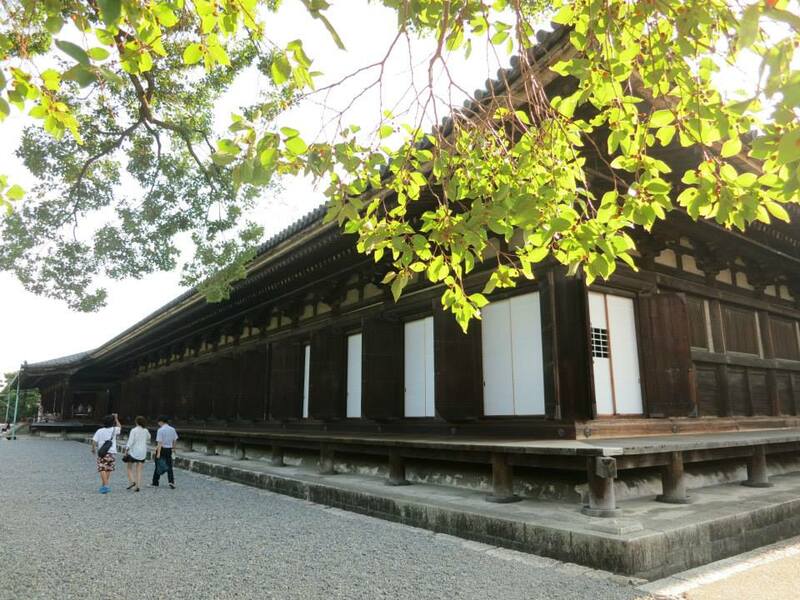 The current wooden hall dates back from 1266, and it is the longest wooden structure in Japan (120 meters). I heard that the best time to visit is when it opens, because the statues glisten when the sunlight shines in. Photography is strictly prohibited inside. 4. 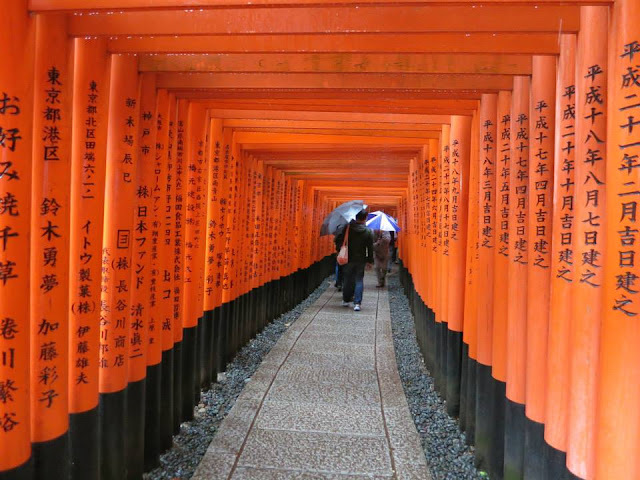 Fushimi Inari Shrine（伏見稲荷神社）is probably the most famous shrine in Kyoto, known for its seemingly endless orange torii gates tunnel that goes all the way up Mount Inari. 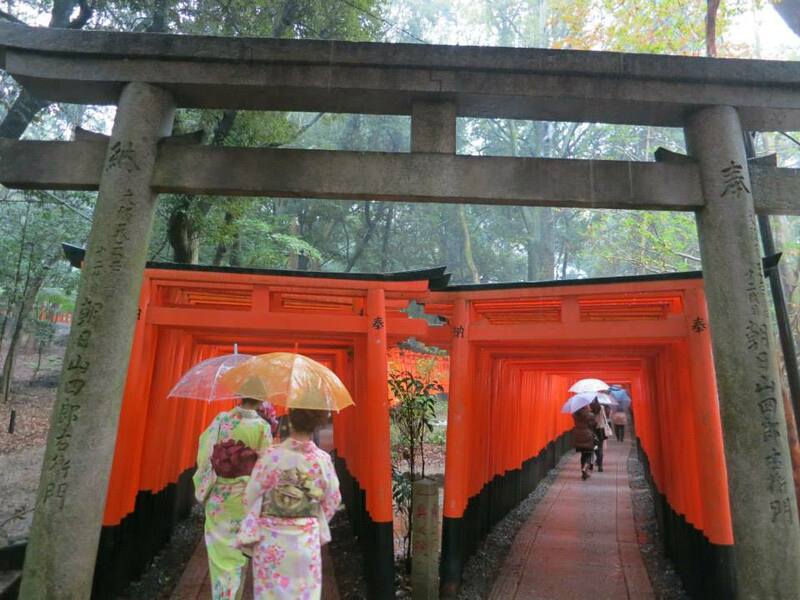 Individuals and companies who donate more than 400,000 yen to the shrine would get their personal torii erected there. It would take 2-3 hours to go all the way up the mountain and back. I chose to only cover a short distance below, where there are more gates. 5. 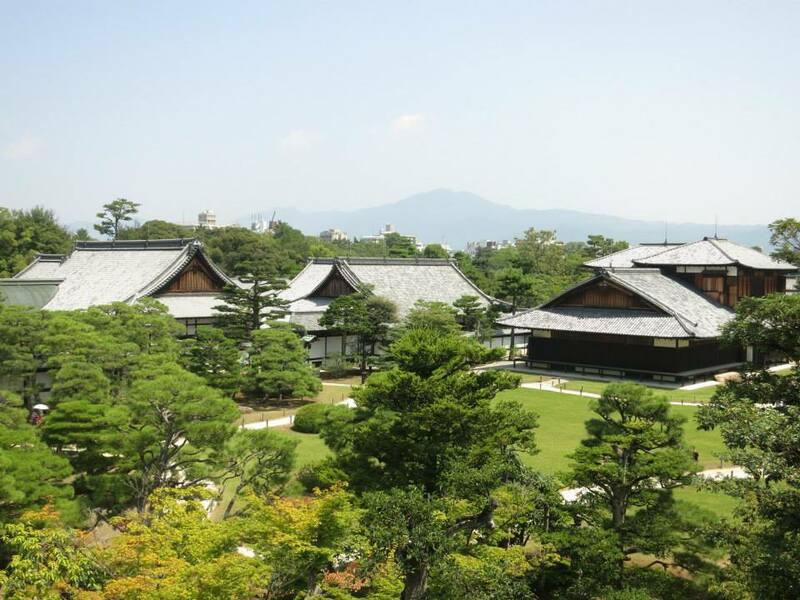 Nijo Castle（二条城）built in 1603, was the Kyoto residence of Tokugawa Ieyasu, the first shogun of the Edo period. Although the main castle keep no longer exists, this UNESCO world heritage site is still worth visiting because of its well-preserved Ninomaru Palace, the residence and office of the shogun when he was in Kyoto. The layout, architecture and design are representative of castle palaces during that time, including the beautiful sliding doors. The premise is huge, with many trees. 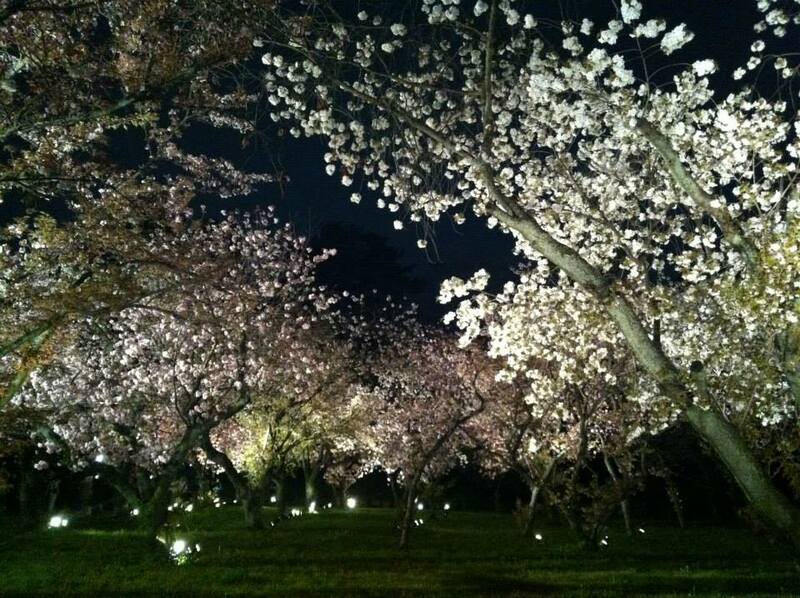 It is a popular spot for sakura viewing at night due to the illuminations. 6. 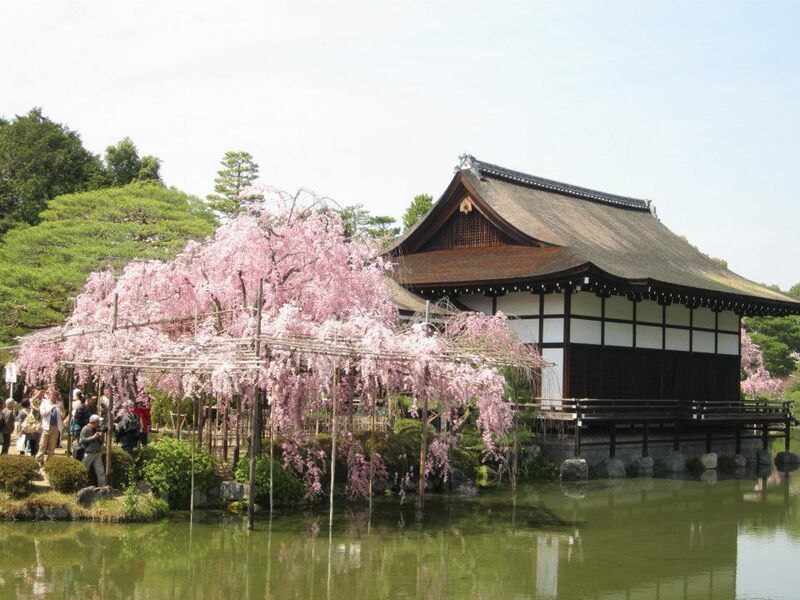 Heian Shrine（平安神宮）has a relatively shorter history, but it is not to be missed for visitors who are in Kyoto in mid-April. 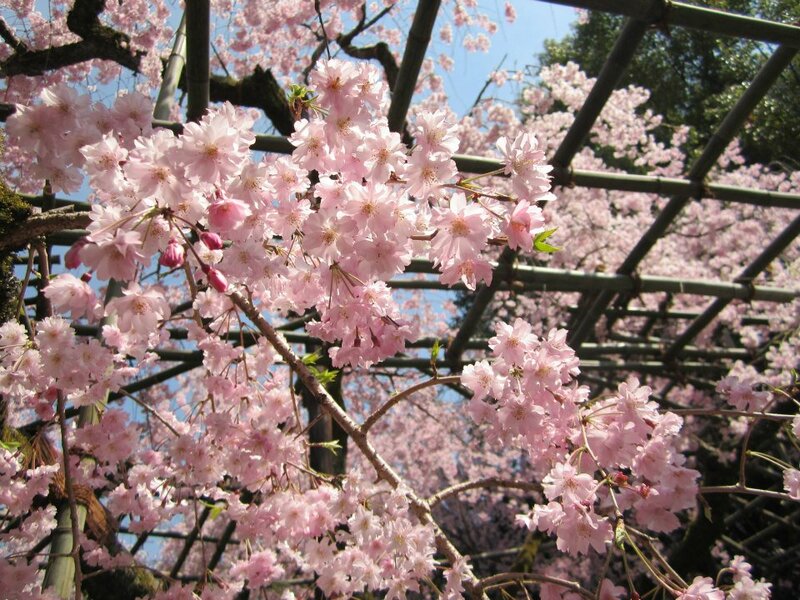 There are many beautiful weeping cherry trees in the premise (my favorite type of sakura! ), including in the paid garden. 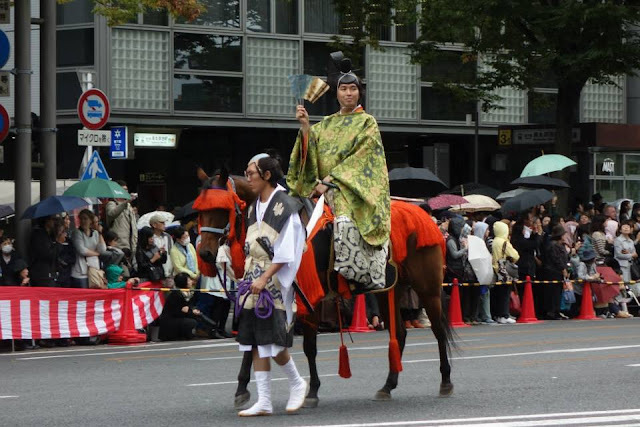 Heian Shrine is also one of the sites for Jidai Matsuri（時代祭り）, one of the famous festivals in Kyoto. 7. 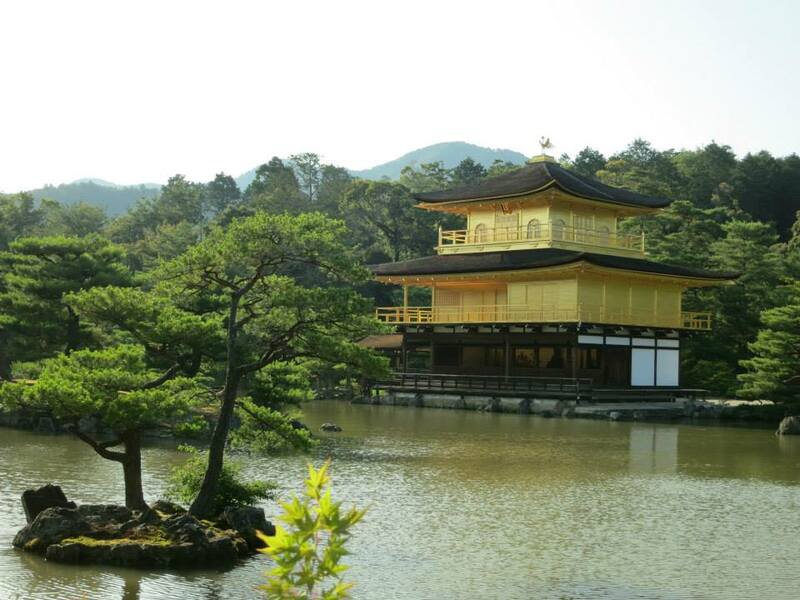 Kinkakuji（金閣寺）is a famous Zen temple covered with gold leaf on the top 2 storeys, overlooking a pond. The current structure was built in 1955. Although it is a little out of the way, it is still crowded with tourists all the time. 8. Tofukuji（東福寺）is a Zen temple at the southeastern part of Kyoto that is famous for its autumn foliage. I have not been there in autumn, though I went there in winter, and personally liked it better than Kinkakuji. 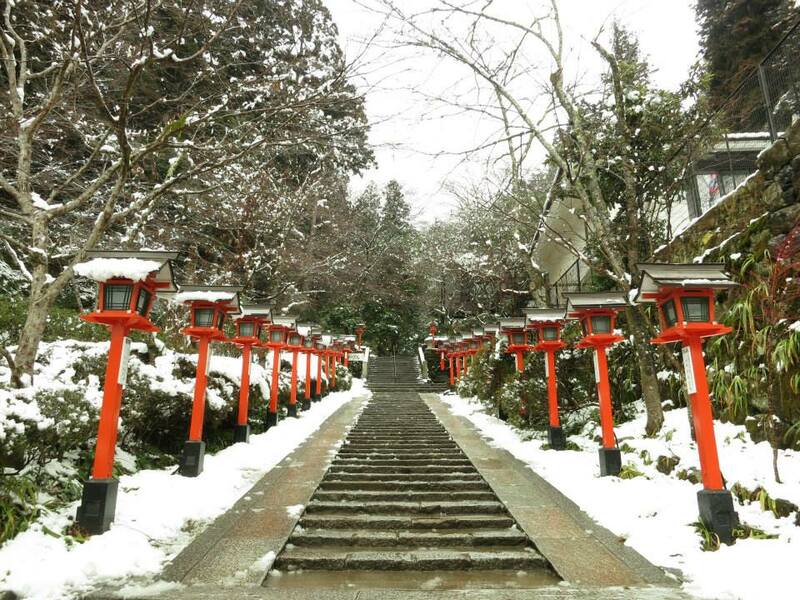 The snow view is beautiful, but not many people know that. 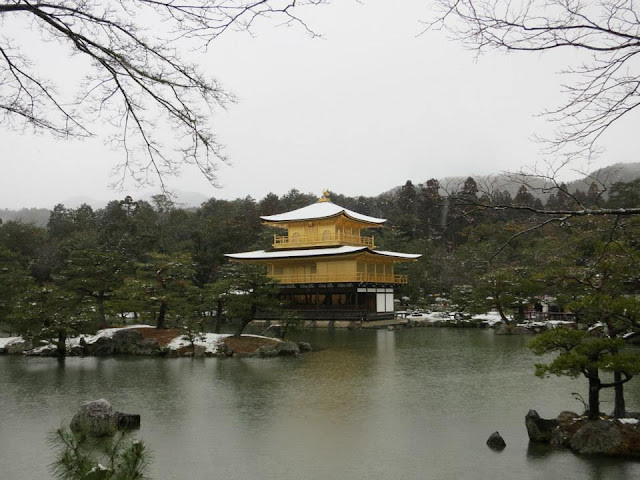 So it was really enjoyable when I was there to soak in the beautiful sights, unlike the crowded Kinkakuji. 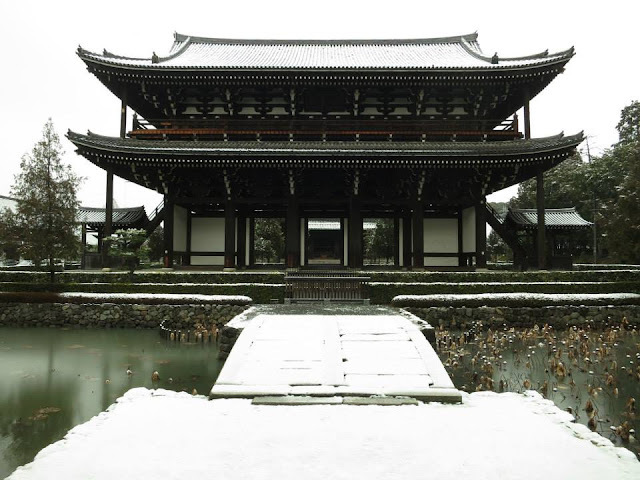 The temple was founded in 1236 and the Sanmon gate dating back to 1425 is the oldest Zen gate. 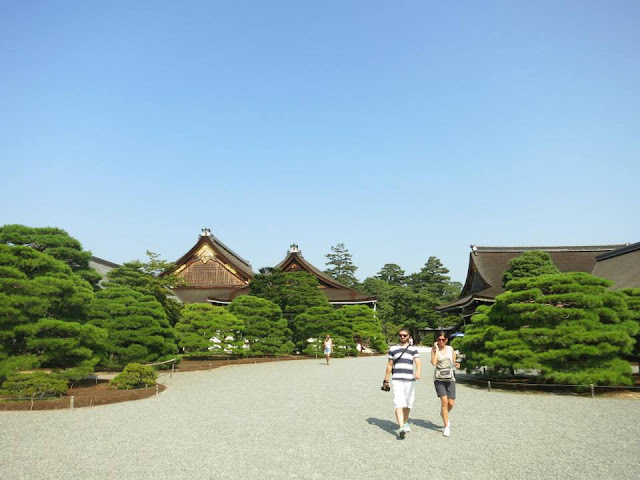 It is even less accessible than Kinkakuji. Not many people know about this place, including Japanese locals. 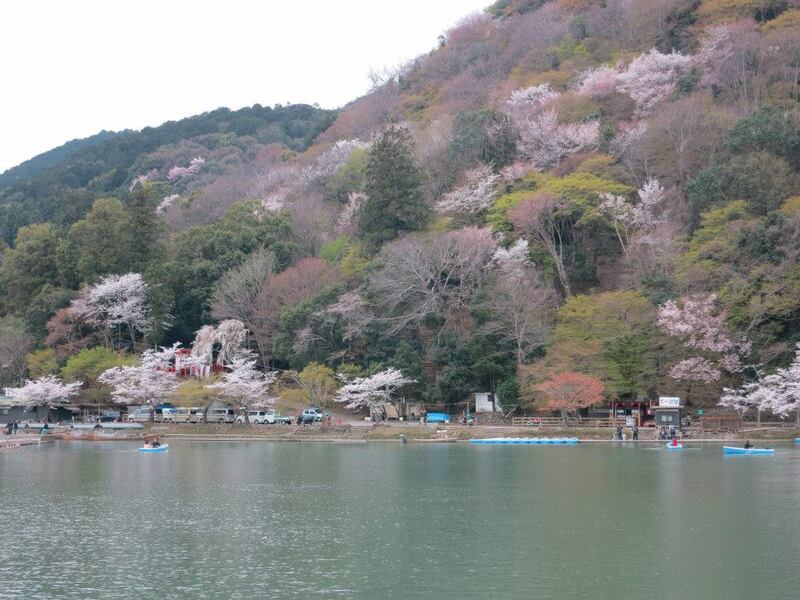 Though I'd rank it as one of the top 5 sakura viewing spots I've been to, out of around 50 (and counting). 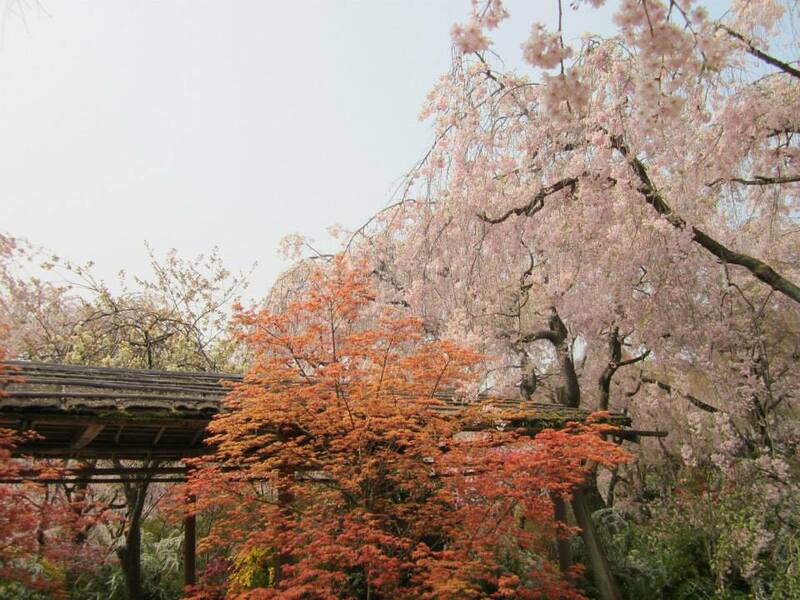 This private garden that has been passed down several generations only opens in spring and there are many varieties of flowers/sakura planted there. 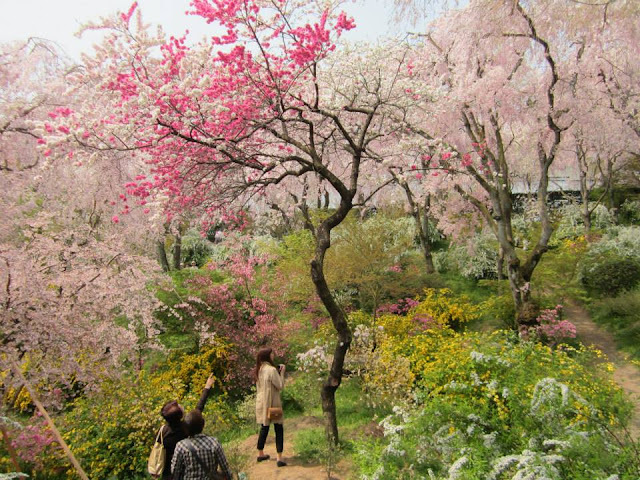 It is big for a private garden, but small for an attraction, so it can get quite crowded. 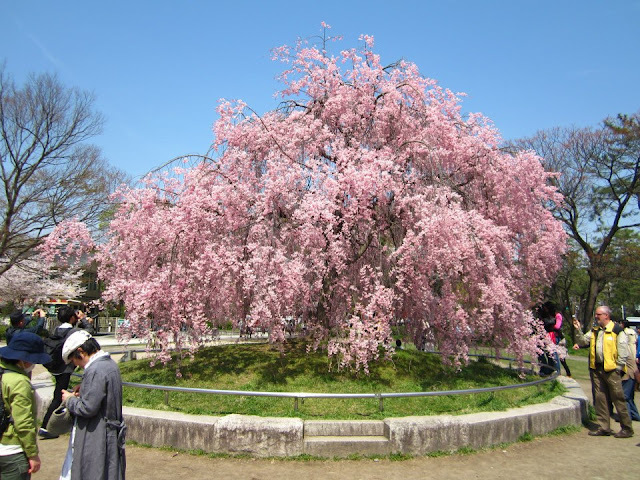 The sakura here blooms slightly later than the other places in Kyoto city, and the sea of weeping cherry trees here is awesome. 10. Kitano Tenmangu（北野天満宮）where Japanese students go to pray for good results is an excellent place for autumn foliage. 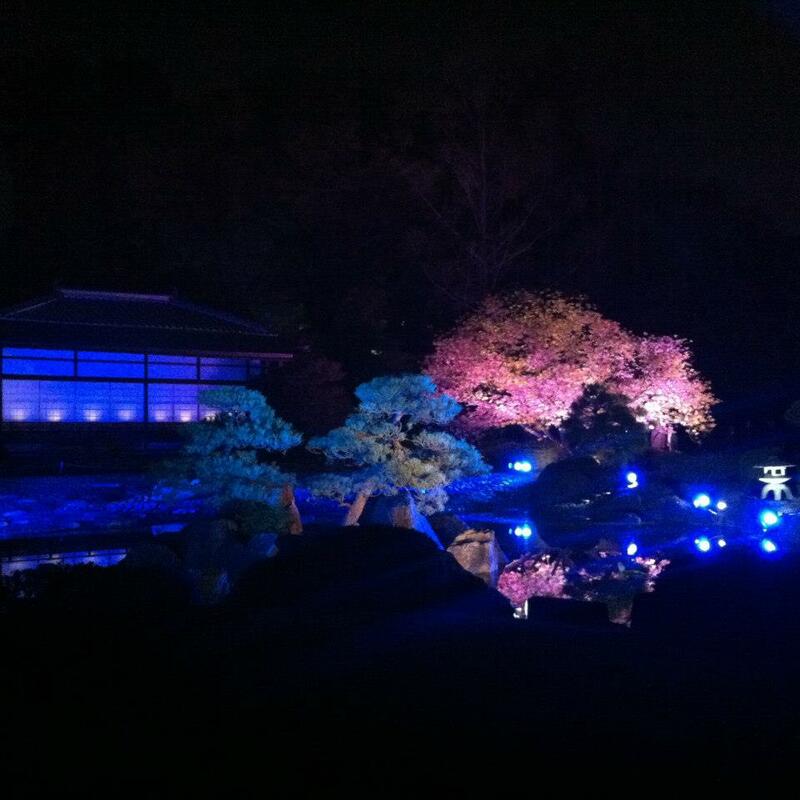 The maple trees along the river are amazing in the night light-up. Another good time to visit it is the plum blossom season as it has many plum trees. 11. Arashiyama（嵐山）& Tenryuji（天竜寺）in the western part are probably the most famous place to view autumn foliage in Kyoto. 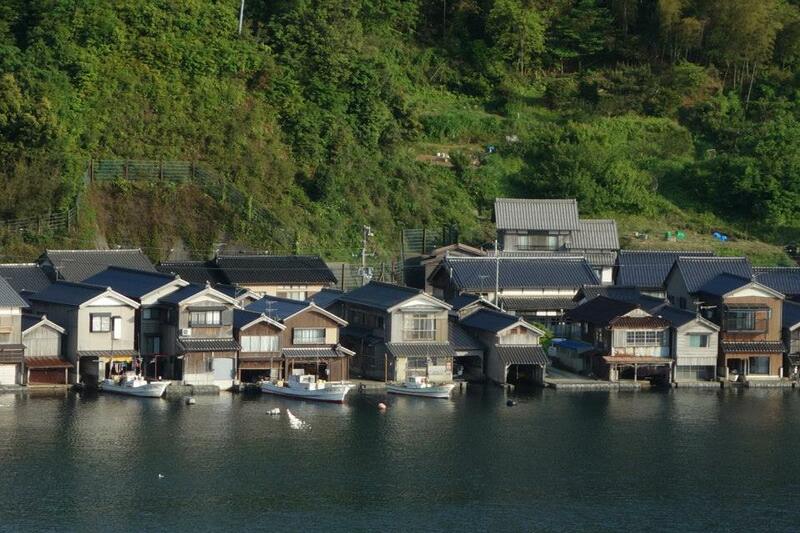 Although the district is big, it still gets congested around the Tenryuji area behind the Togetsukyo（渡月橋）. 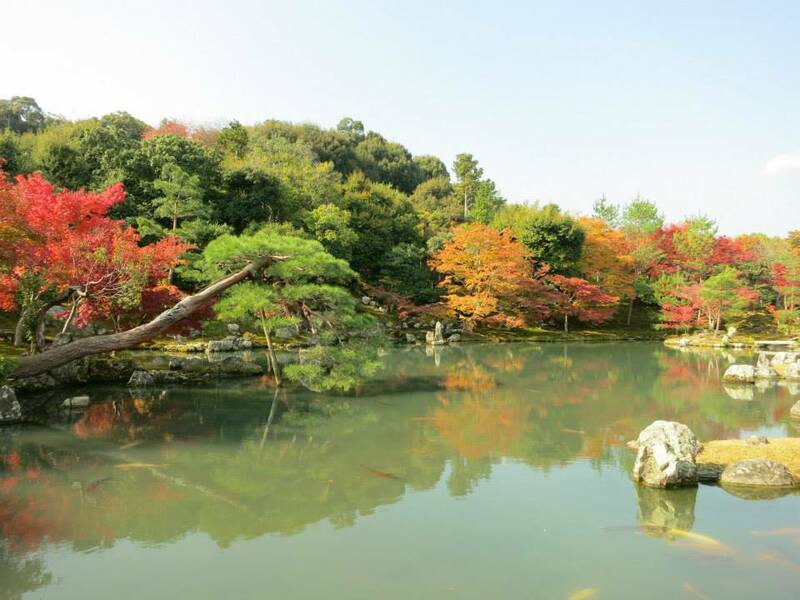 Tenryuji is a UNESCO world heritage site that has a picturesque pond. 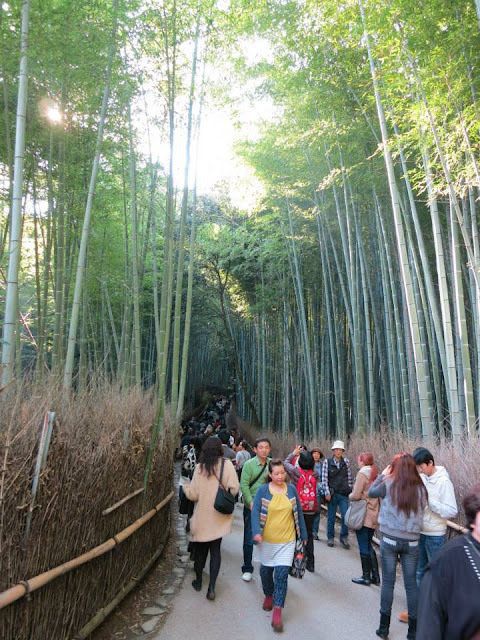 Further north, there is a bamboo grove and other temples such as Nisonin（二尊院）. 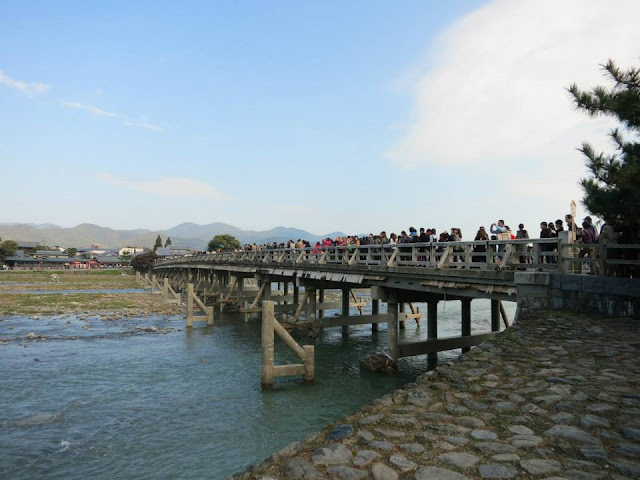 Other good times to visit Arashiyama is during the cherry blossom season, Hanatoro illuminations in December, and summer when there is cormorant fishing on the Hozu River. 12. 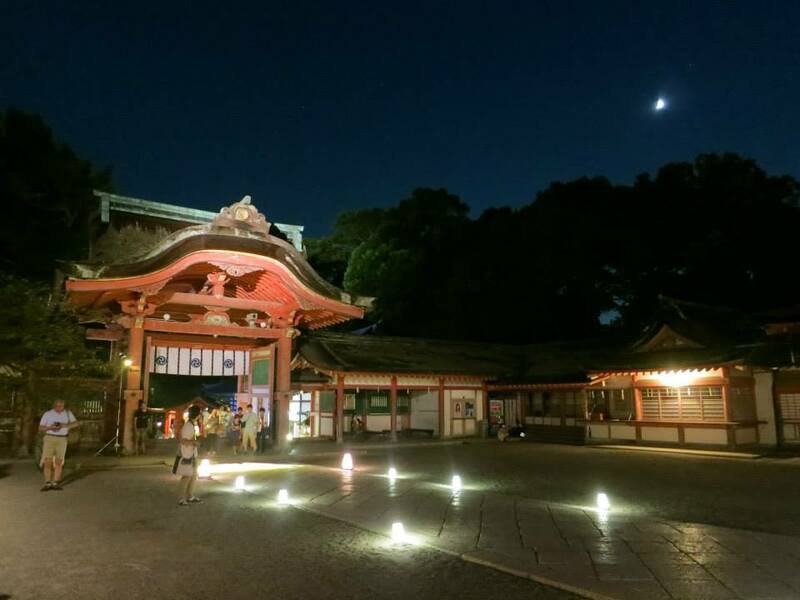 Iwashimizu Hachimangu（岩清水八幡宮）is not that famous an attraction in Kyoto, but I enjoyed my visit there in summer 2013 when it was opened to visitors at night. 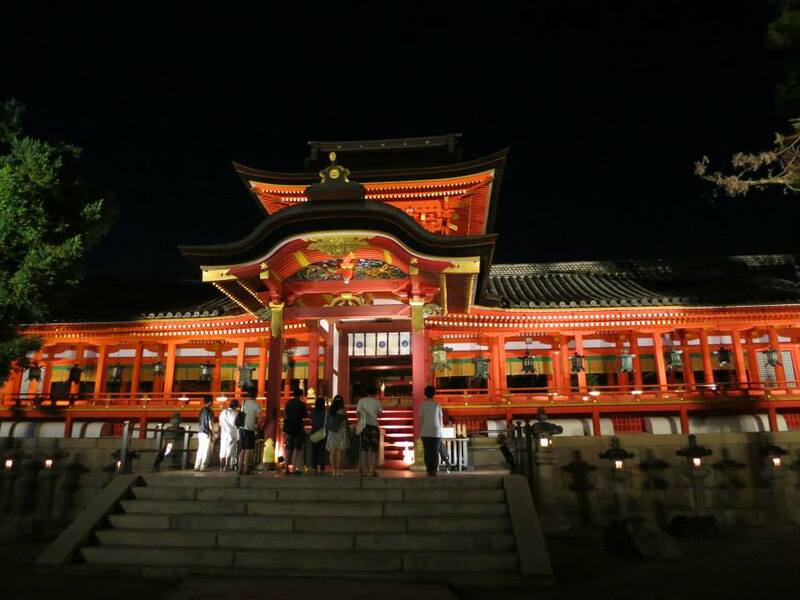 This shrine is built by the 3rd Tokugawa shogun and is 1 of the 3 great Hachimangu shrines in Japan. 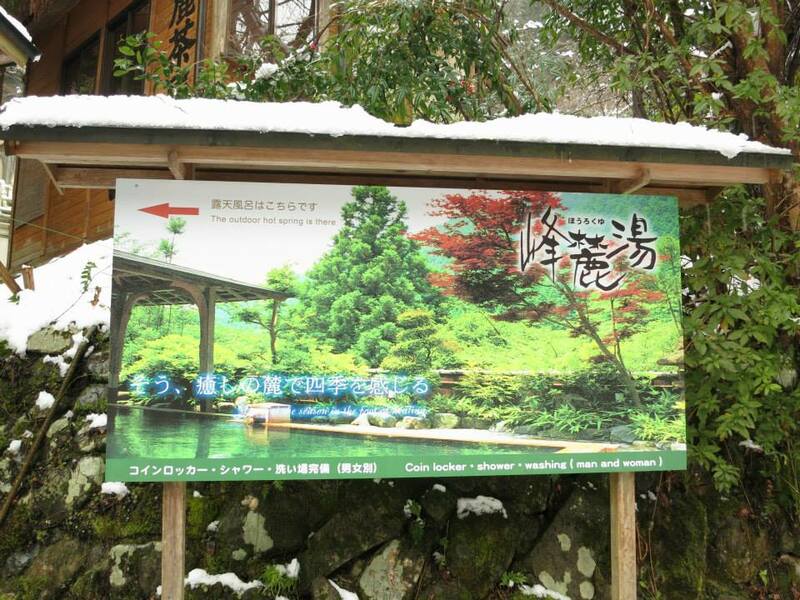 It is on Otokoyama（男山）and reachable via Keihan + cable car. 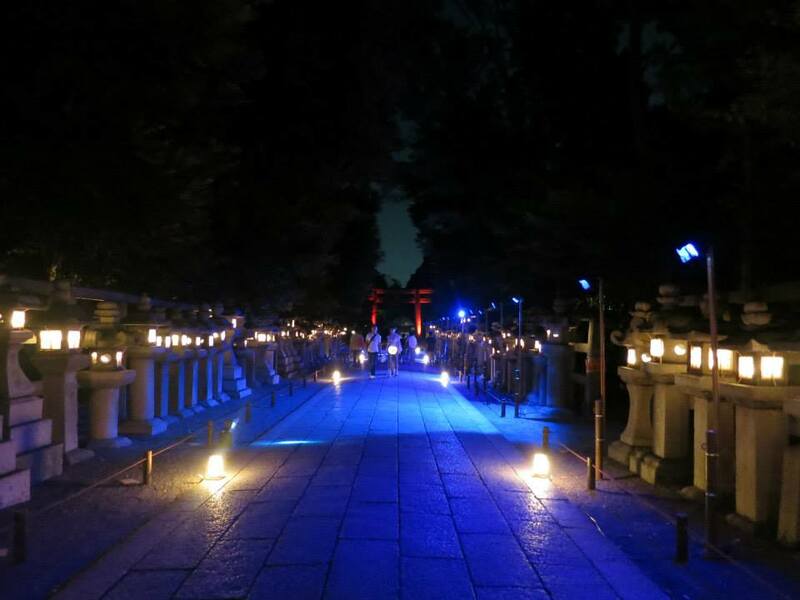 Visiting is usually free, but during the night illumination period, there is an entrance fee of 500 yen whereby good guided tours (in Japanese) lasting around 40 minutes are provided. 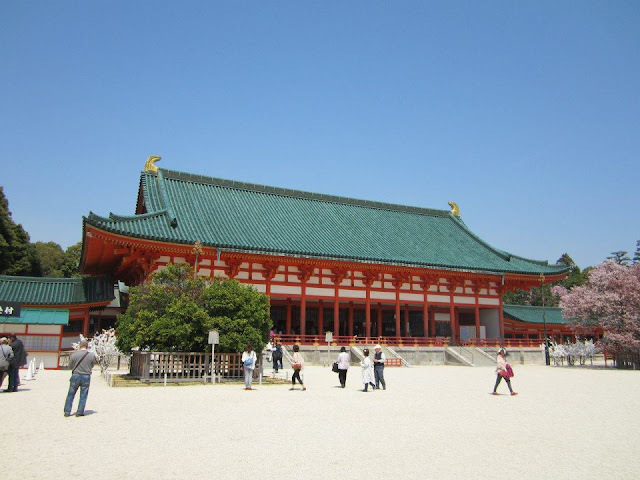 Learnt much about the shrine and shrines as a whole, adding to my appreciation of shrines. 13. 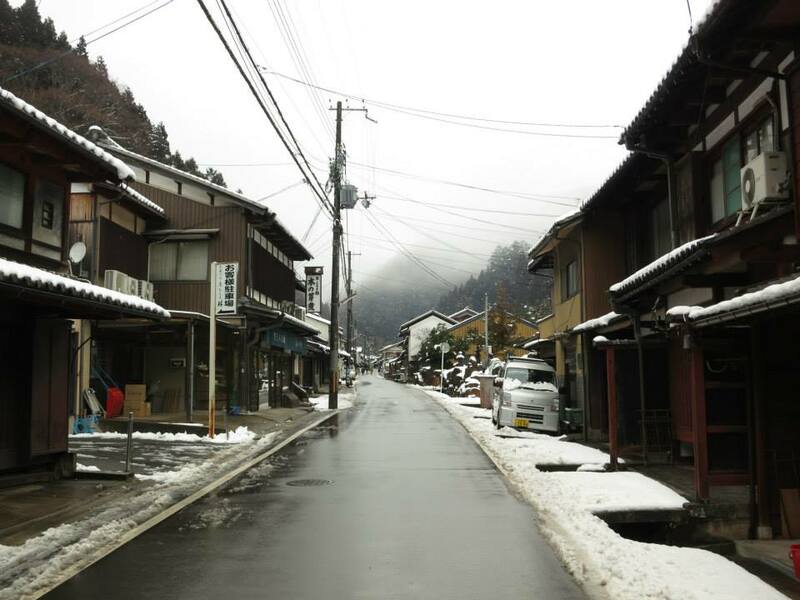 Kurama（鞍馬）is a rural town in the northern mountains of Kyoto city. Truly enjoyed my trip there in winter, from taking local train to Kurama, to taking the cable car up to Kurama-dera and enjoying the snowscapes, to exploring the town and soaking in Kurama Onsen's rotenburo（露天風呂）with snow view! 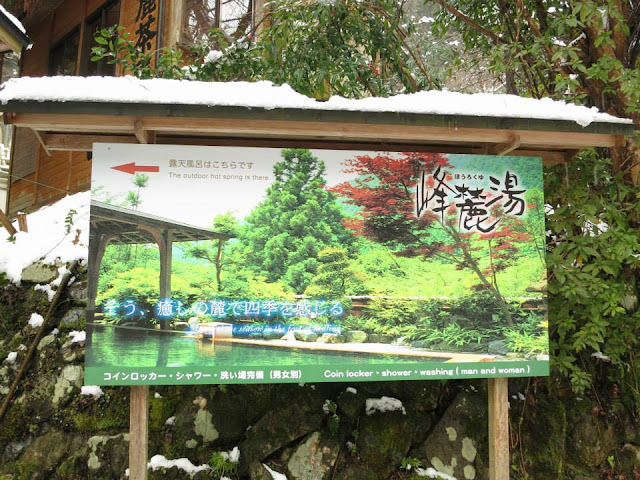 It is possible to hike from Kurama to Kibune（貴船）, a small town nearby, though the route is usually closed in winter. Kibune is popular in summer, where visitors enjoy kaiseki meals or nagashi somen (flowing noodles) on platforms build over the river. However, the former is pricey and the latter's queue is time-consuming. The narrow road there is also highly congested. 14. Hieizan（比叡山）is 1 of Japan's 3 most sacred places, located at the borders of Kyoto and Shiga prefecture. 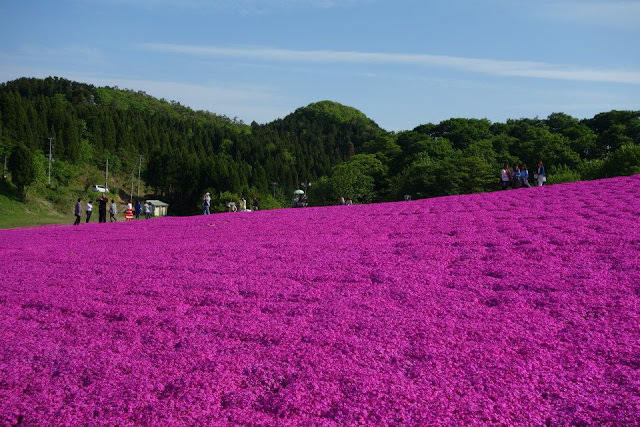 It is a great place to visit, more information on it can be found under Shiga prefecture. Bus is a convenient mode to travel around Kyoto city, but only for people who have time on their hands. The city is crowded with tourists all the time, and most people commute via buses, so most of the buses would already be packed to the doors when they reach the bus stop. 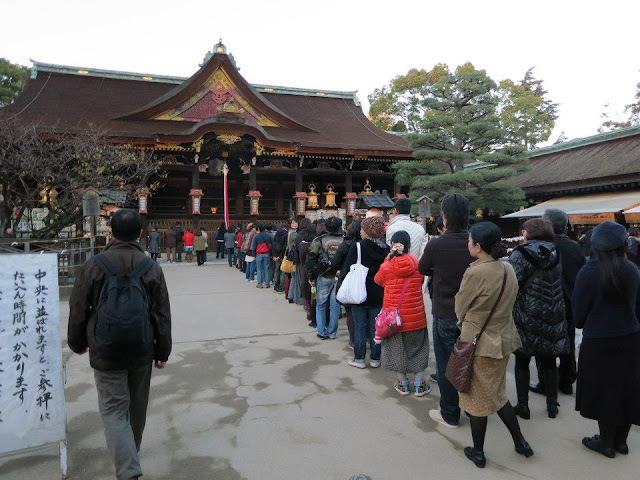 The 1 day bus pass is good for visitors who intend to travel around Kyoto via bus. The more efficient way is via subway or Keihan. The downside is that you may need to walk longer distances/still have to transfer to bus but travel a shorter distance. Outside of Kyoto city, there is Uji（宇治）that I really like, which is known for green tea. 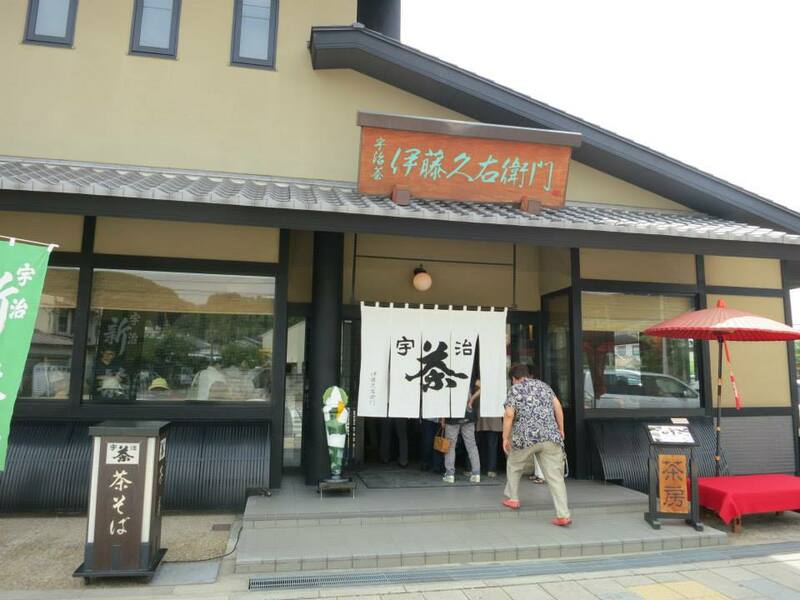 From Cha-soba to green tea nama chocolate and green tea sake, Uji is truly a green tea paradise! 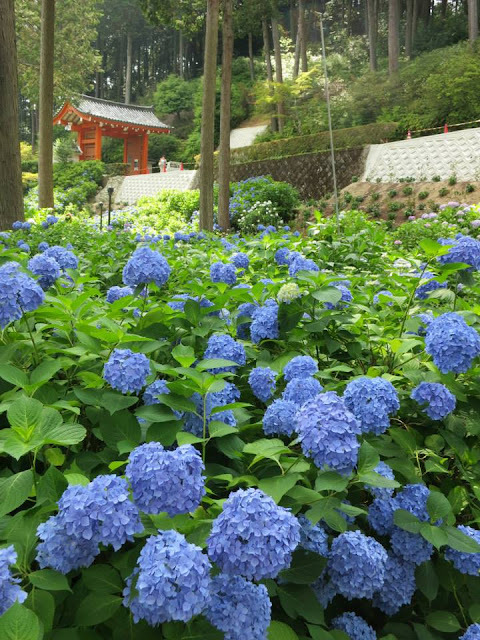 Enjoyed strolling down the street to nice temple Byodoin（平等院）, having green tea themed lunch at a restaurant beside the river, and admiring the beautiful hydrangeas in Mimurotoji（三室戸寺）. 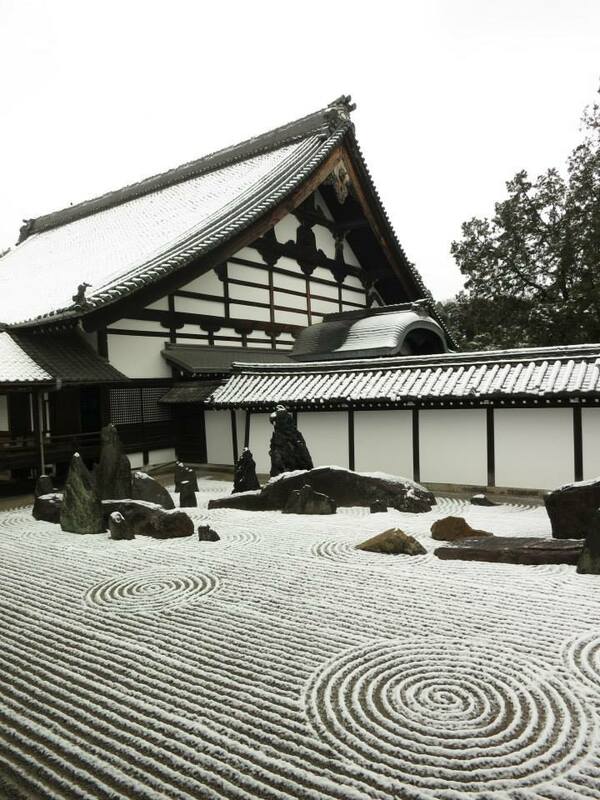 It is also possible to participate in green tea related activities in Uji, such as tea ceremony. I also stayed in a friend's house in Sonobe（園部）, nice rural area north of Kyoto city, and visited Miyama（美山）not too far away but quite inaccessible. 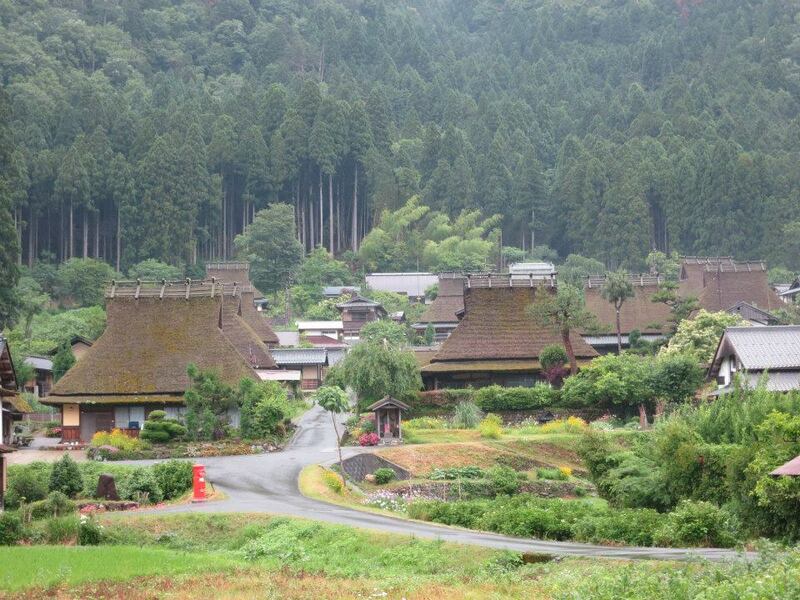 It resembles a smaller version of Shirakawago（白川郷）, with thatched roof houses, many of which are private homes. 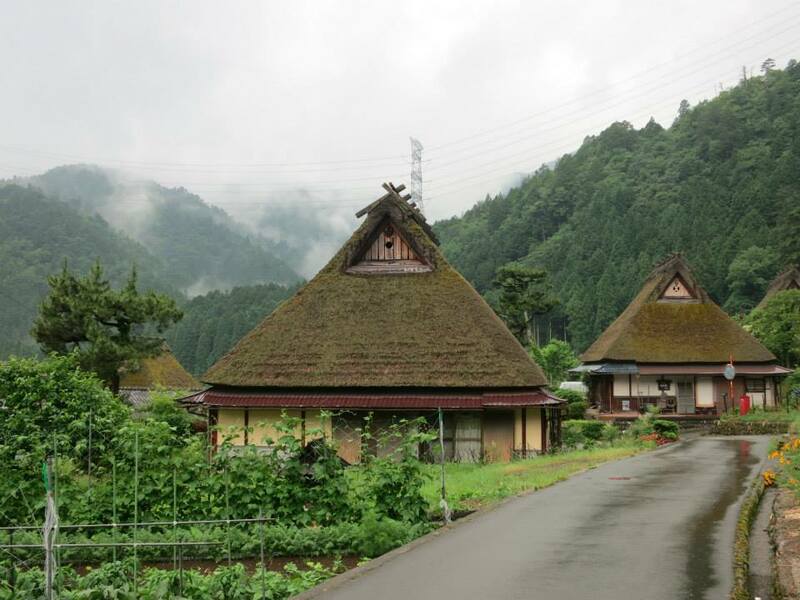 I enjoyed roaming around the small village of Kayabuki no Sato. 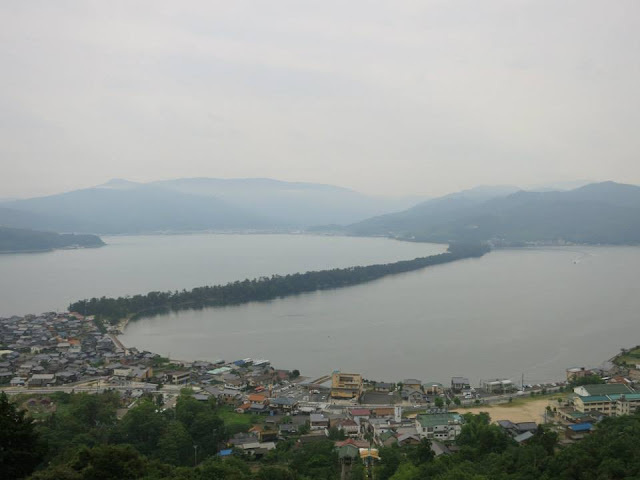 At the north of the prefecture is 1 of Japan's 3 scenic views-- Amanohashidate（天橋立）, which I've actually been to thrice. 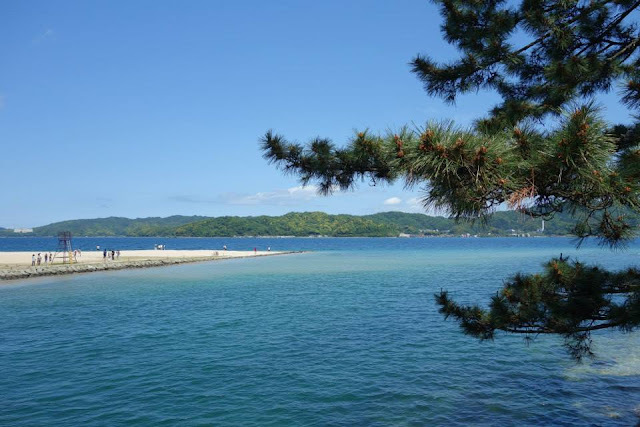 Personally rank it 2nd, after Miyajima（宮島）. 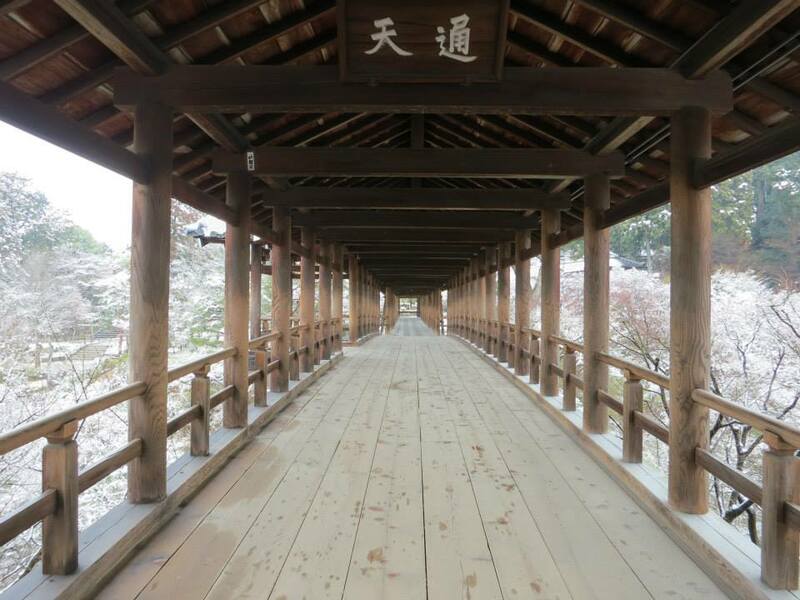 It is a sandbar filled with pine trees, and the view is supposed to be seen between one's legs while bending down, such that it would look like a bridge to heaven. A good place to see the view is Kasamatsu（傘松）Park. There are many different transport packages available for getting around, depending on what sites you want to visit. I chose the 2 day pass for 1900 yen that included unlimited rides for ferry, bus and cable car/lift. Though was tempted to rent a bicycle. Sea gull feeding can be done while traveling on the ferry. It was also nice admiring the blue sea and sky while strolling along the sandbar. 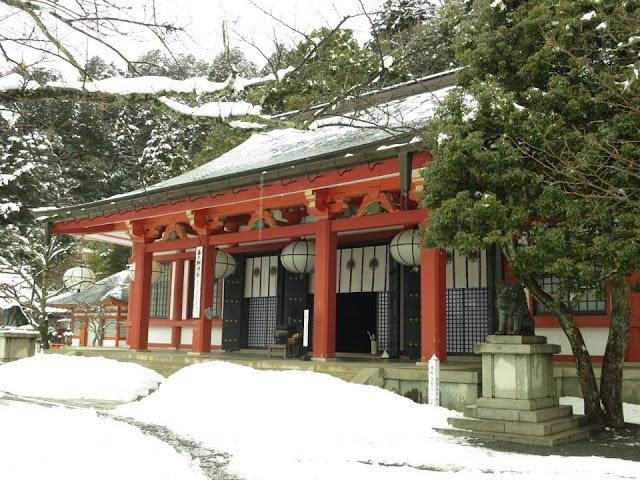 Other attractions include Chionji（知恩寺）, Motoise Kono Shrine（元伊勢籠神社）and Nariaiji（成相寺）. 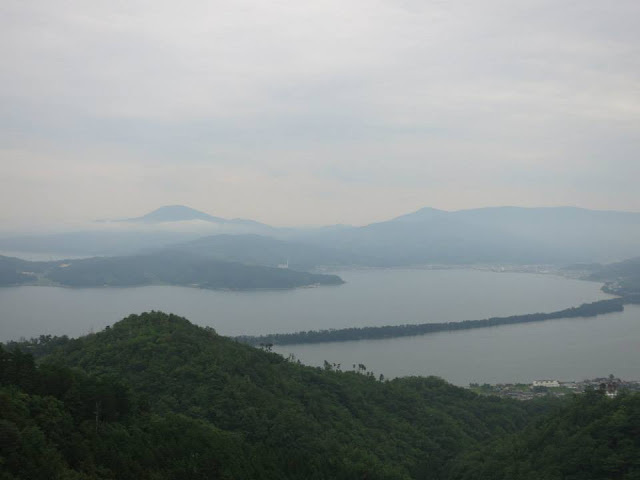 The view at the observatory deck near Nariaiji is great! Also visited Swiss Mura in northern Kyoto via bus tours for Shibazakura（芝桜）, and also Ine（伊根）, famous for their houses with boat storage space below. For food, Kyoto is famous for tofu, such as Yudofu（湯豆腐）. Popular souvenir would be Yatsuhashi（八つ橋）, sweet dessert made of glutinous rice flour. 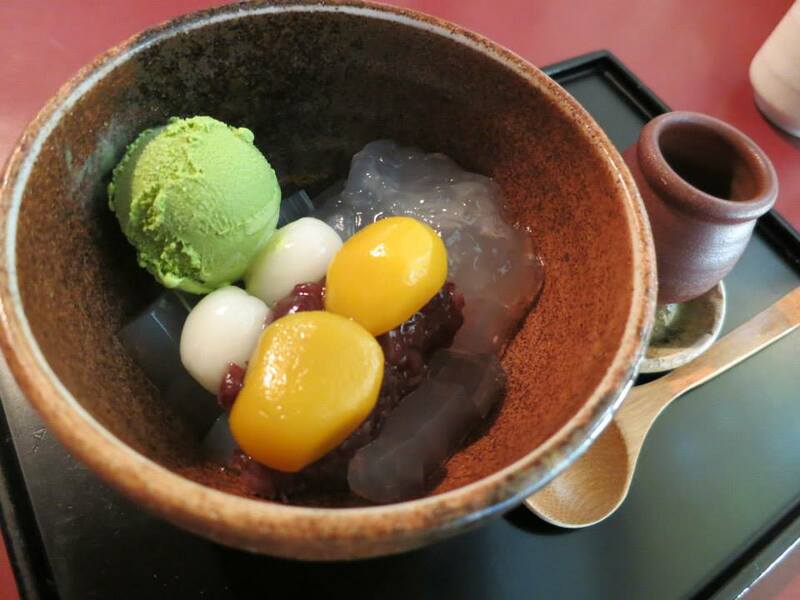 Green tea and yuzu products are also popular in Kyoto. 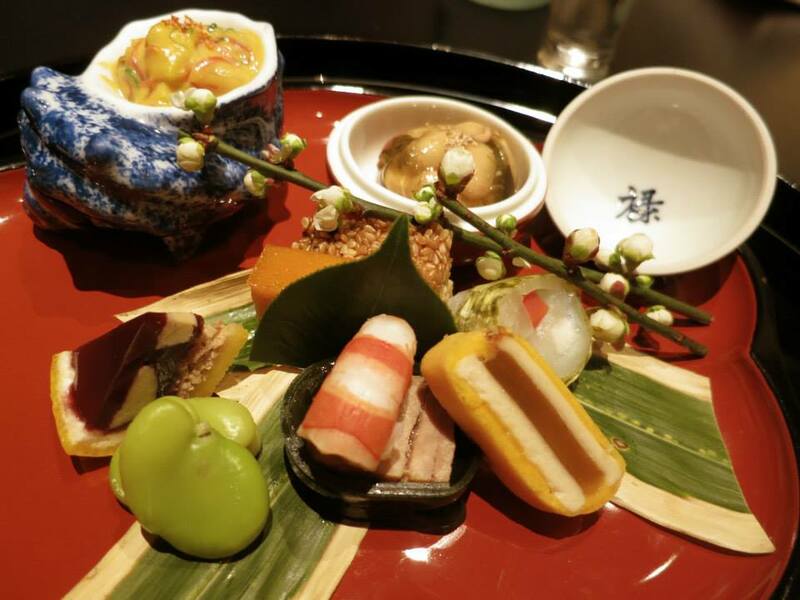 Also recommend izakaya Okumanshoya（奥満笑屋）. 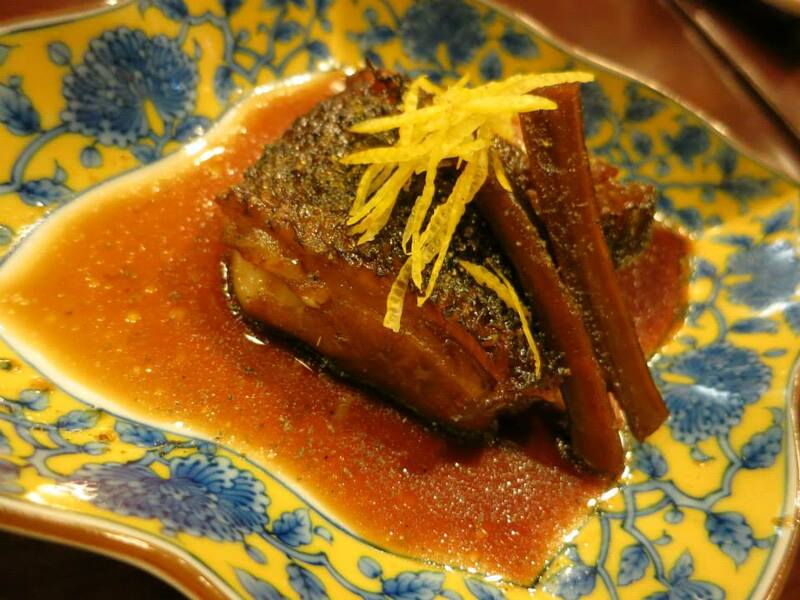 The cooked fish Aradaki was so amazing I'd have cravings for it! 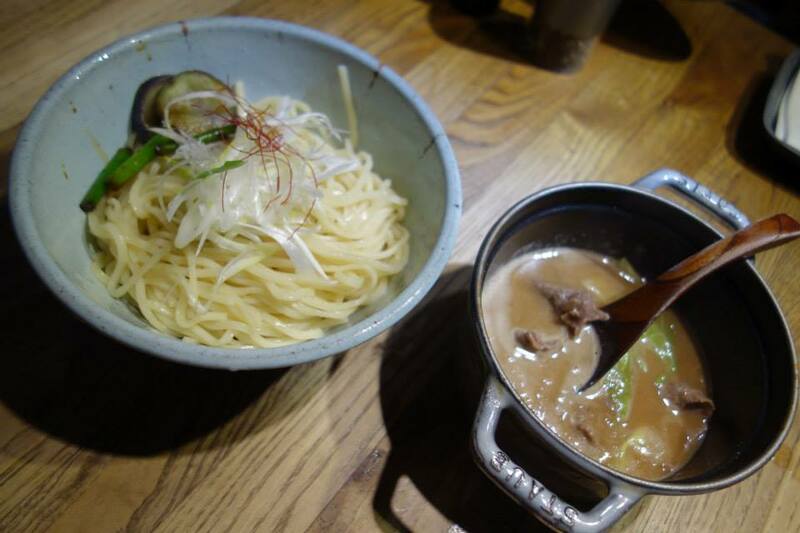 And Sugari in Karasuma（烏丸）has awesome wagyu yuzu tsukemen! Thanks for sharing. I didn't know there are so many places to visit around Kyoto. may i ask which accomodation and where is most suitable for family of 5 person? We need 2 bathroom and 2 toilets. I will bookmark and be back again. I just love the japanies culture, and it's people,their dressing is decent. Nice and informative article,This one would also help your followers. check it out: 28 Green Tea Secrets Revealed.